In the last newsletter, I mentioned that my new Silhouette Curio machine had arrived. (Yay! I love new toys!) 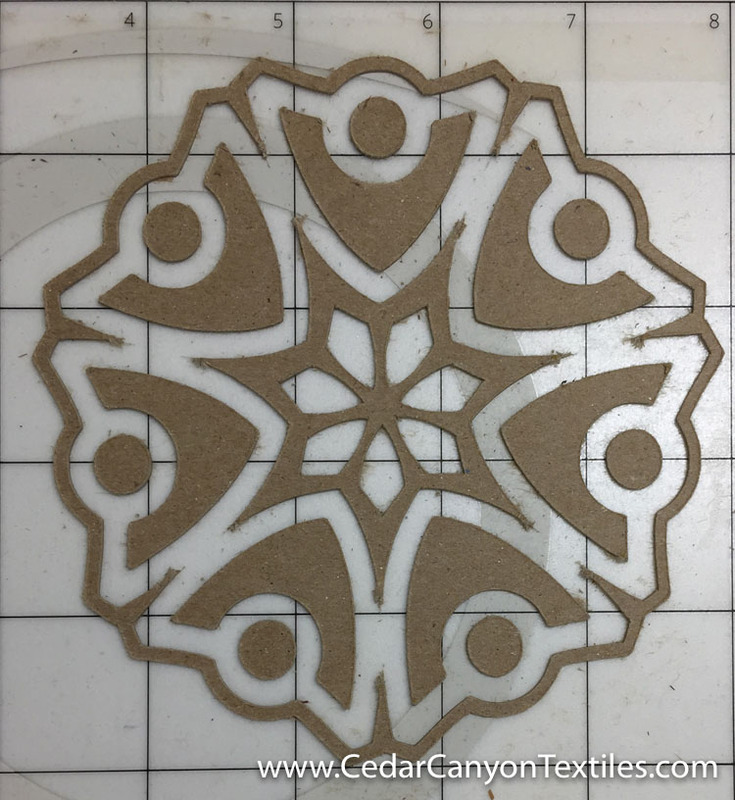 The Curio is designed to cut thicker materials, and I was chomping at the bit to see how it would do cutting custom Chipboard Rubbing Plates. 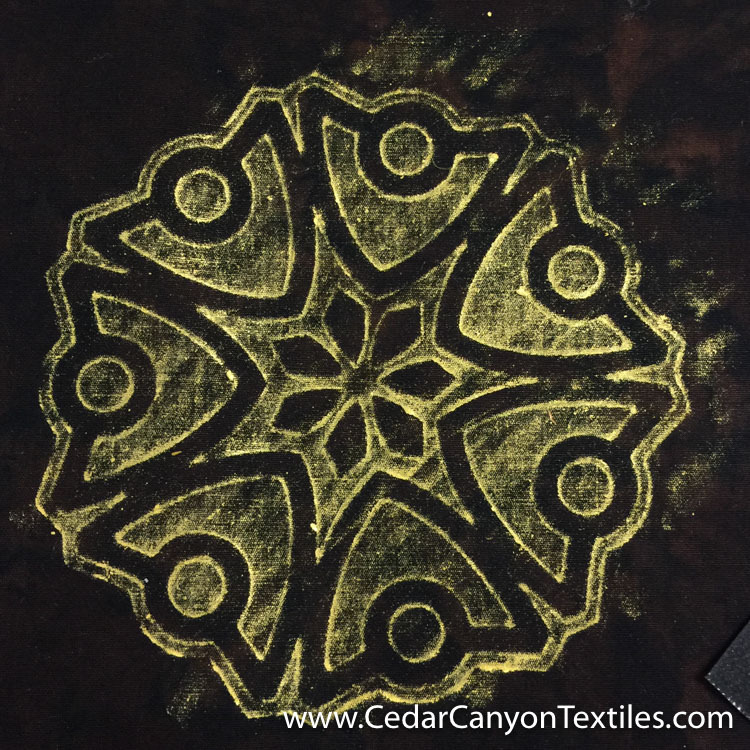 In case you’re new here at Cedar Canyon, I love textured surfaces (a.k.a. rubbing plates) for adding color and patterns to fabric with Paintstiks. But that’s for another day. Let’s get back to the Silhouette machines. 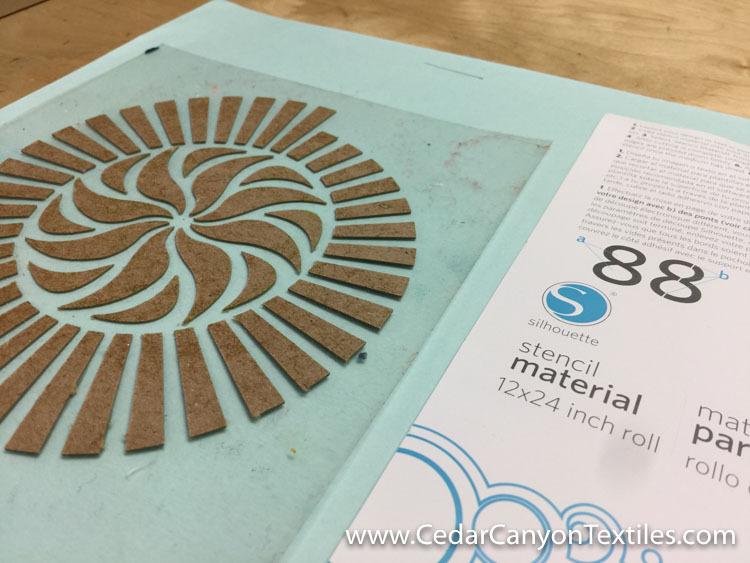 Several of the students in the current Silhouette for Fabric Art course asked if I would post my Chipboard settings for the group, so I thought I should do a proper test. I grabbed my Cut Settings test design, a copy of the worksheet, and got to work. 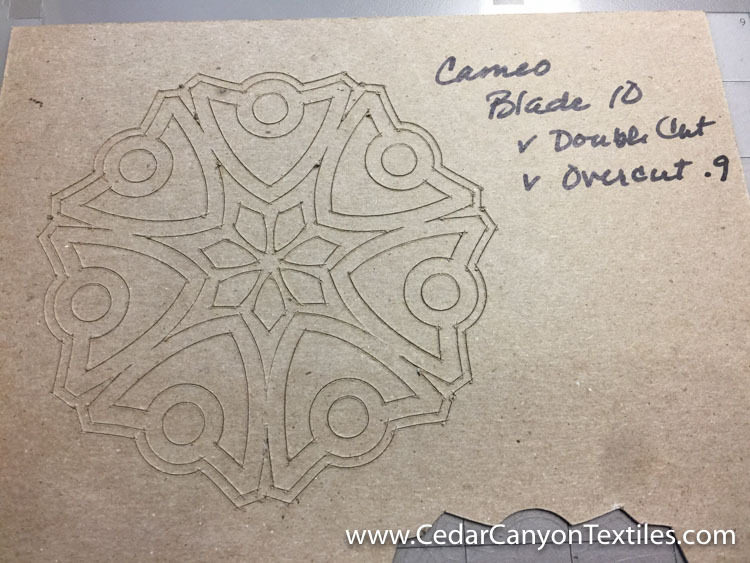 With the settings from my tests in hand, I set out to cut my design again. I figured I should test both machines (Cameo and Curio) to see how they compared. My Cameo was hooked up to the computer, so I started with that. On the Cameo, I got to a final result without any trouble. On the Curio machine? Not so fast. The Curio has an additional variable – the height of the stack of platforms – that creates a whole new layer of tests to the list. As I said, I have LOTS to learn! 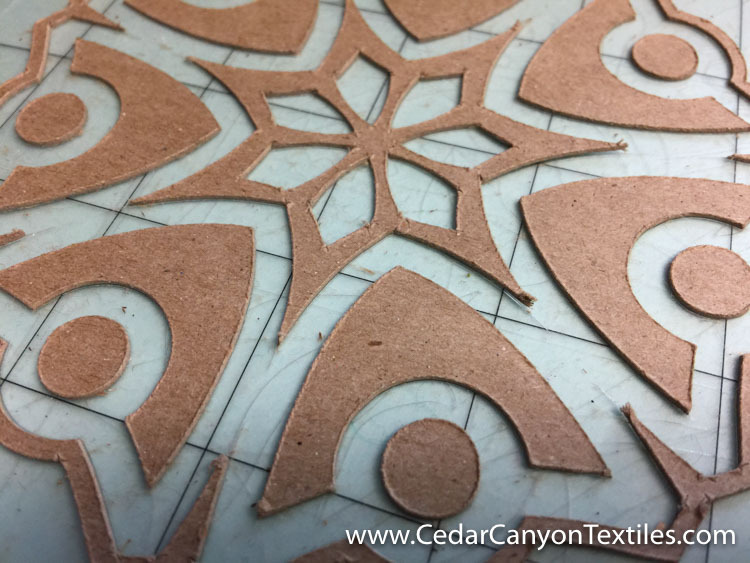 Here is a close-up photo of the chipboard that I cut on my Cameo. As you can see, the chipboard gets torn up a bit at the sharp points. Hmmm… I wonder if anyone makes this stuff with a coating on one side? Oh boy, more stuff to learn! 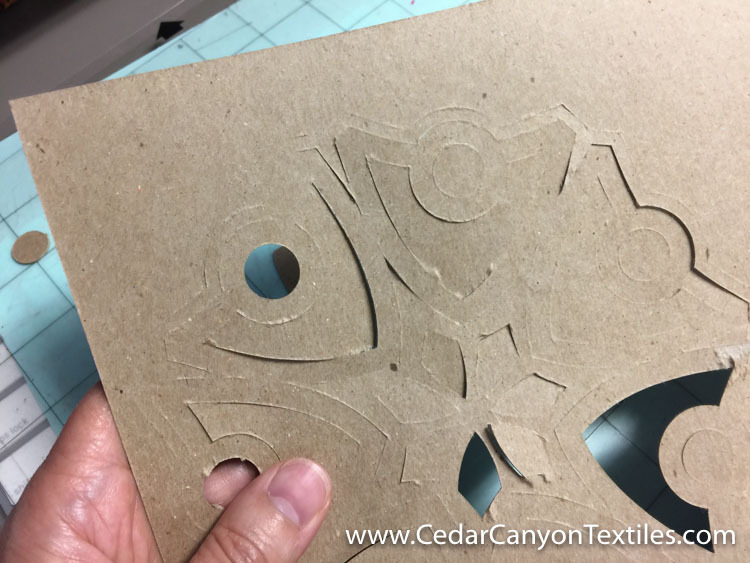 Chipboard is much thinner than molded plastic Cedar Canyon rubbing plates. When I was getting ready to do some painting with the chipboard rubbing plates, I was curious to see how the depth compared to the molded plastic rubbing plates that I used to manufacture. Wow. Not even close! After digging up some specs on both, I realized that the Cedar Canyon Rubbing Plates were almost 5 times deeper than the chipboard. No wonder they work so well! Once the chipboard is cut, it needs a permanent home. I’m certainly not going to leave them stuck to my cutting mats! There are a few tricks to getting this to work properly, so I’ll tackle that in another post. Clean rubbings more challenging, but definitely possible with chipboard plates. Finally, I grabbed a piece of black fabric and a couple of Paintstiks. The shallow depth of the rubbing plates is definitely if you want really clean rubbings. 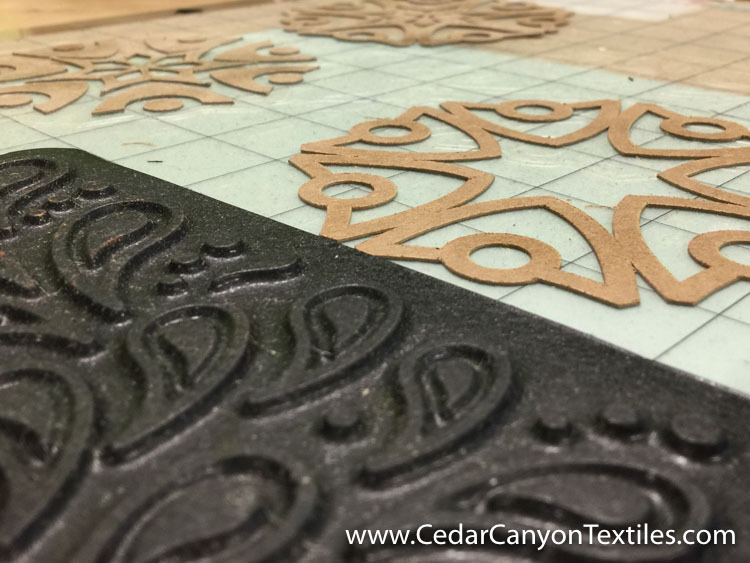 But, it is possible – and very cool to be able to create a design, cut it out, and make custom chipboard rubbing plates! I’ve had reasonable – but not totally consistent – results using the same settings on the Curio with a full complement of 6 platforms. But I’m still testing, and I’m not ready to give a firm recommendation. I’ll keep working with the new machine, locate some coated chipboard and report back in my next blog post. 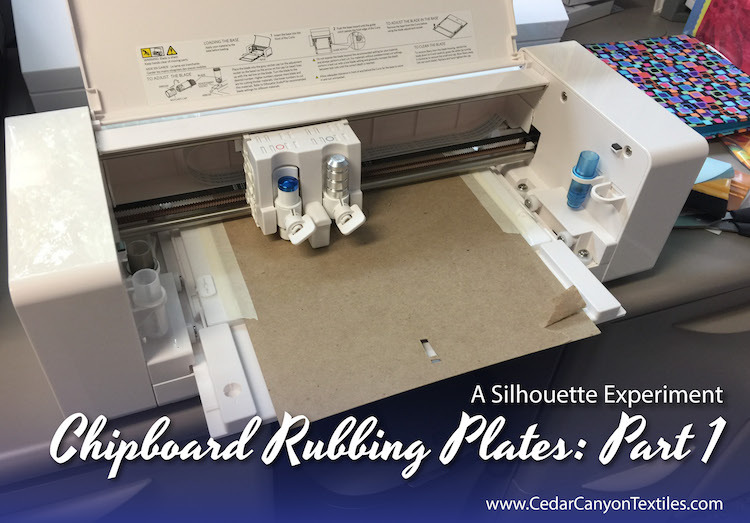 Until then, you’ll just have to run your own set of experiments to create Chipboard Rubbing Plates with YOUR Silhouette machine. If you have a question – or some wisdom to share – leave a comment below. I’m all ears! Shelly, maybe tr coating the chipboard with a light layer of Matt medium. A very light layer! Or even a light spray of Matt sealer. I think gloss would tend to drag and stick in the cutter. Thanks for the suggestion, Debby. I don’t have a can of sealer on hand, but I think I have some different mediums in the supply bins. Yes, I think sealing one side would make a difference. 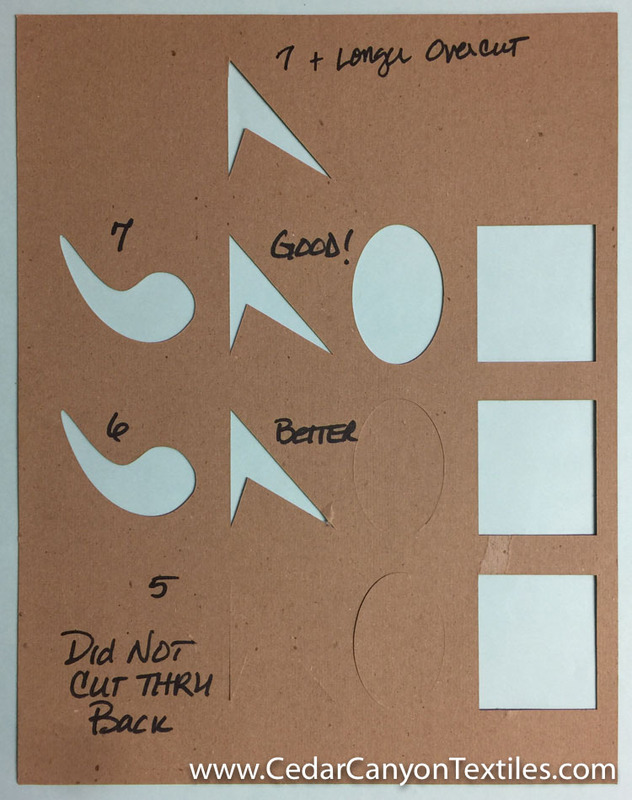 How would putting contact paper on one side of the chipboard? Now there’s an idea. 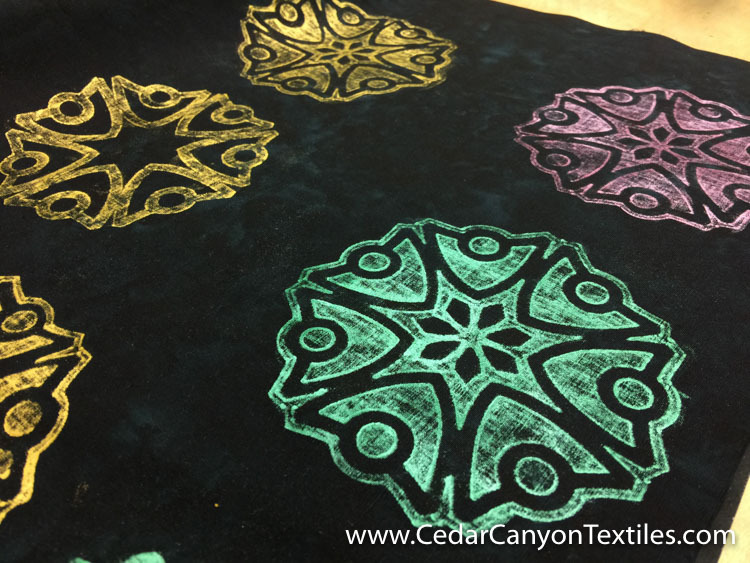 I’ve got a huge roll of vinyl that I use for my Renegade Stencils. That would definitely seal up one side of the chipboard. Another thing to test! that is exactly what I was going to say. Sticky side to chipboard and then you can move it as one piece and it’ll stick together. Thanks for chiming in, Mags. This is definitely on my To Do list. I don’t think a vinyl coating will solve the problem of transferring the finished plate to a final surface, but if it makes the cutting easier, I’m one step closer! will be a nice alternative Silhouette program. capture some wonderful photos of butterflies, bumblebees and flowers this summer. projected date to return to Chapala? It’s nice to hear from you, Elizabeth. Your butterflies sound like fun. Back to Chapala in mid-October. Happy me!